Strong storms and heavy rainfall are possible late today through early Sunday morning. 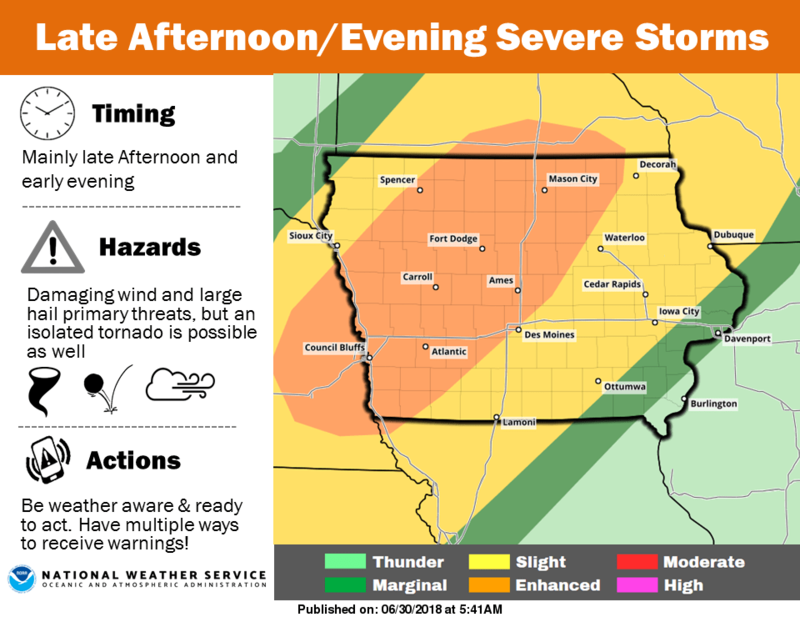 According to the National Weather Service Storm Prediction Center, a slight risk of severe thunderstorms is in place this evening through the overnight hours, with the primary threats including large hail in damage winning. Rainfall amounts could get up to between 1 to 3 inches by the morning Sunday, with the heaviest totals expected north and west of the area, with flash flooding possible. A heat advisory has been issued for this afternoon, with daytime highs in the low-to-mid 90s coupled with high humidity. Stay tuned to KNIA/KRLS for the latest weather information.